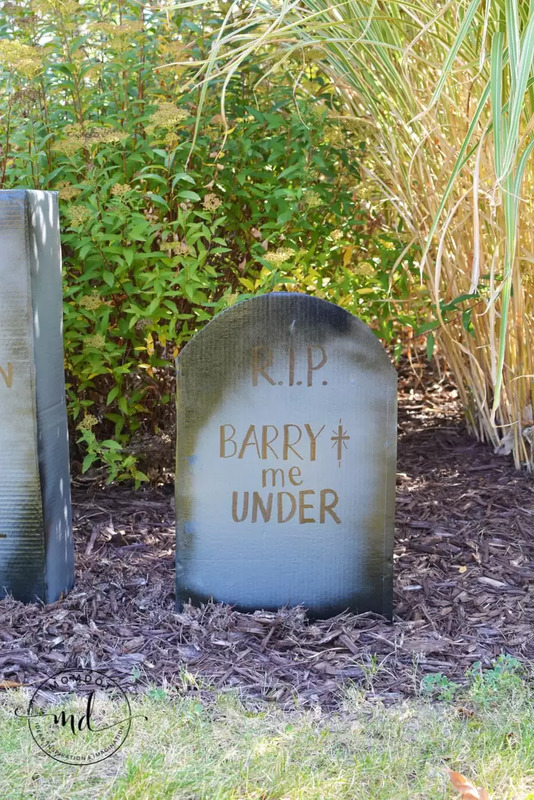 How to Make Cardboard Tombstones; learn how to make faux headstone tombstones perfect for customizing your front yard or garden inexpensively. 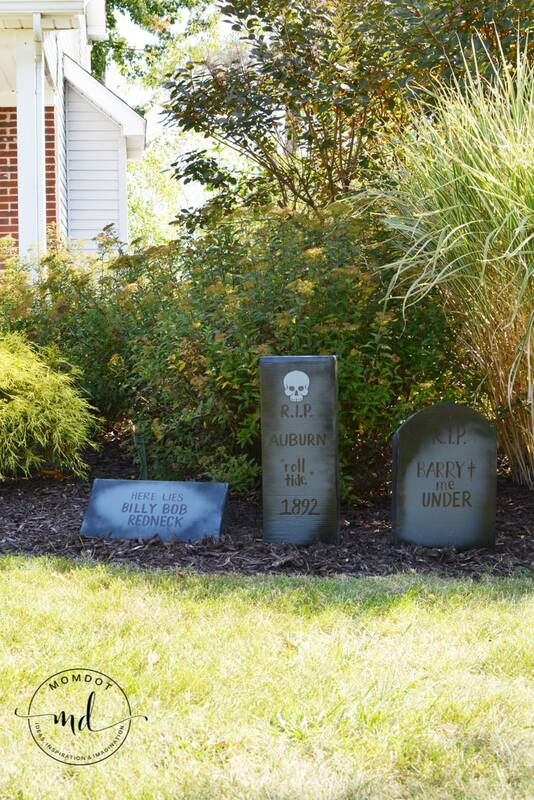 Add your own silly phrases and create a graveyard with a few simple instructions. 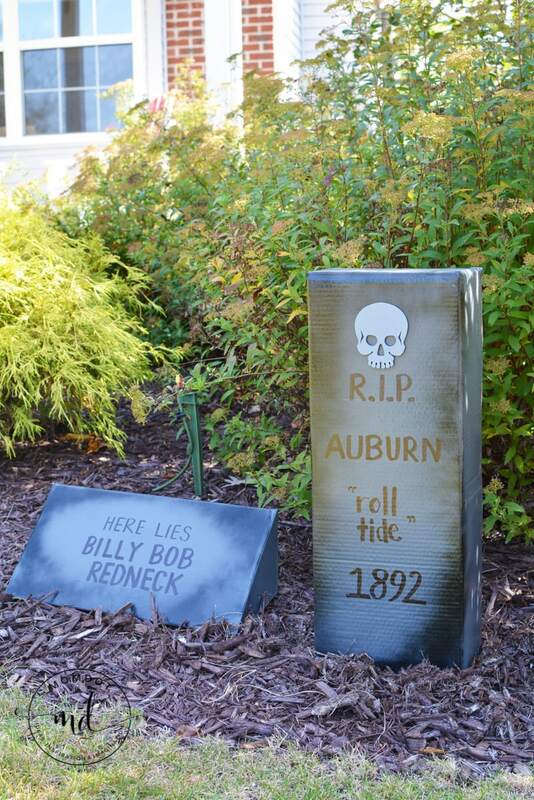 Learn how to Make Cardboard Tombstones in this awesome tutorial today! RELATED HALLOWEEN POSTS (That you will LOVE!! )——–> Just click below to head to the tutorial! 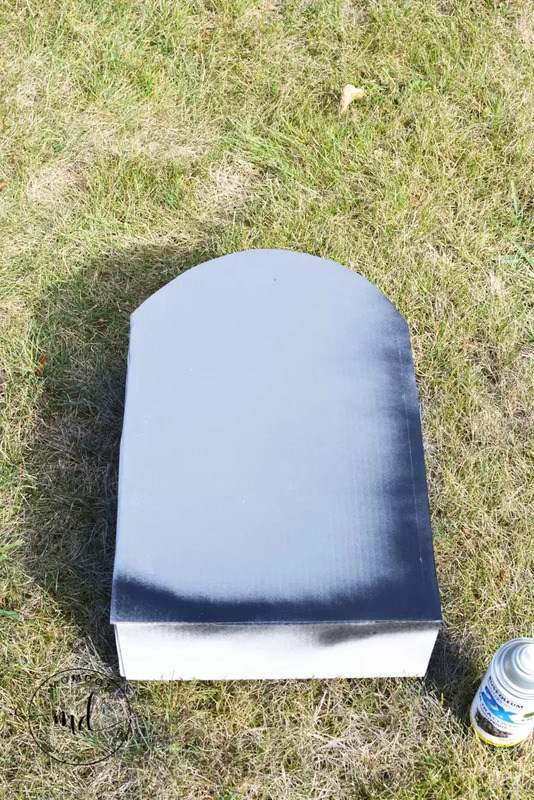 To make a curved tombstone, draw a curve on a top of a rectangle box with a permanent marker. Cut out with a utility knife . 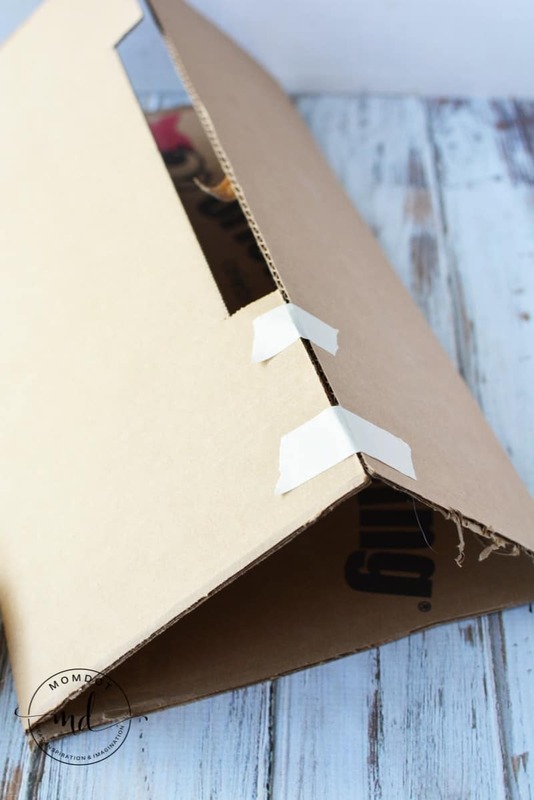 Use the bottom of the box to trace the same shape and cut with a knife. 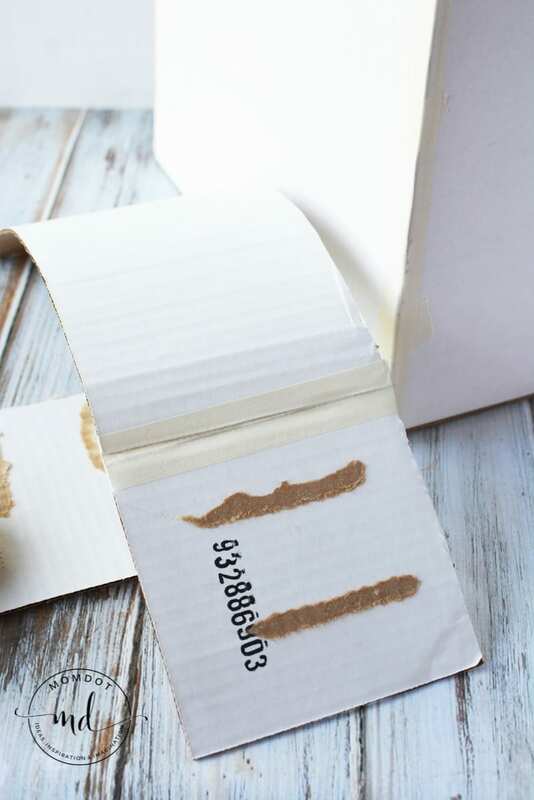 Place the two pieces together and seal the seams with masking tape. 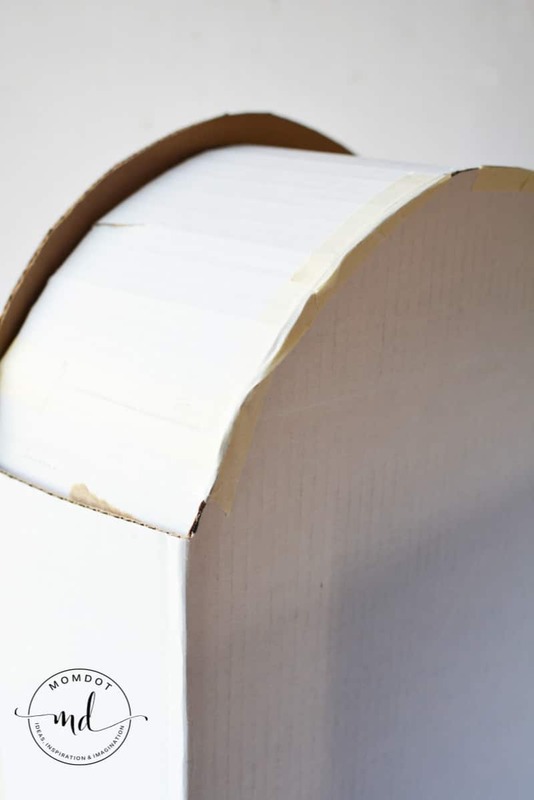 Use the scrap pieces of the box and trim to size to fill in the curve gap/opening. I got lucky in that my corrugated cardboard was on the same parallel as the curve I needed. Curve the scrap piece and slide it into place. Affix with masking tape. 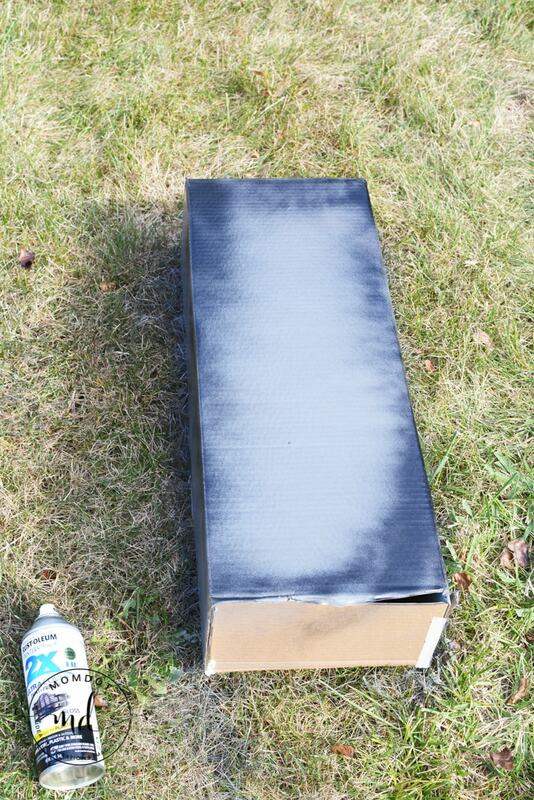 Spray the box with dark grey spray paint and let dry. Two coats may be required. Spray with black around the edges to create shadows and darkness. Let dry completely. 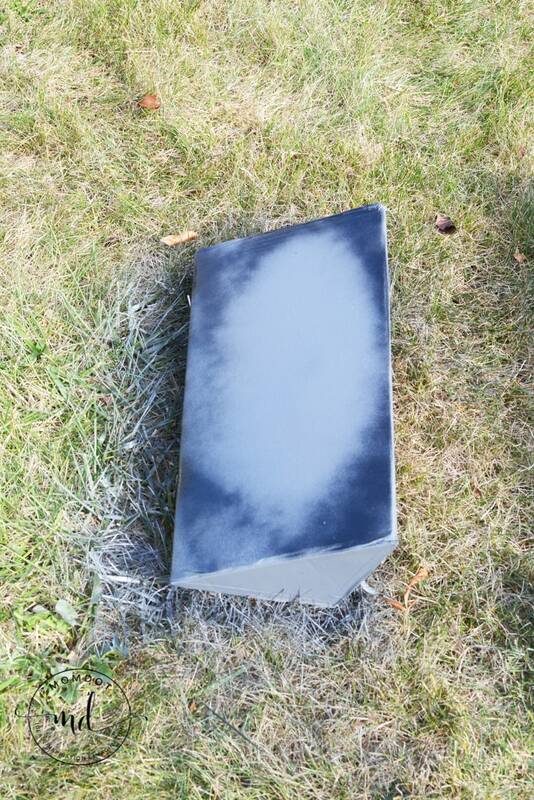 Use a permanent marker to write on the tombstones. You may find using a ruler to draw some straight lines with a pencil will help keep the letters even and uniform. 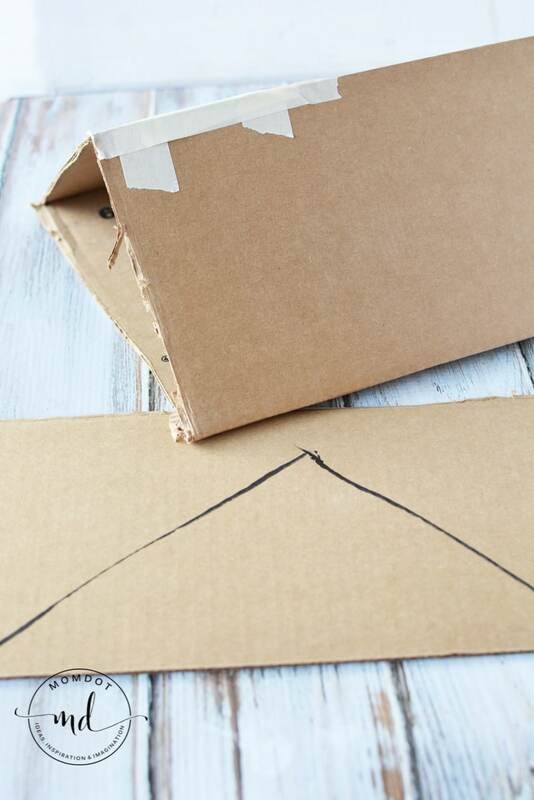 To make a triangle tombstone, cut a large piece of a cardboard box and fold into a triangle shape. 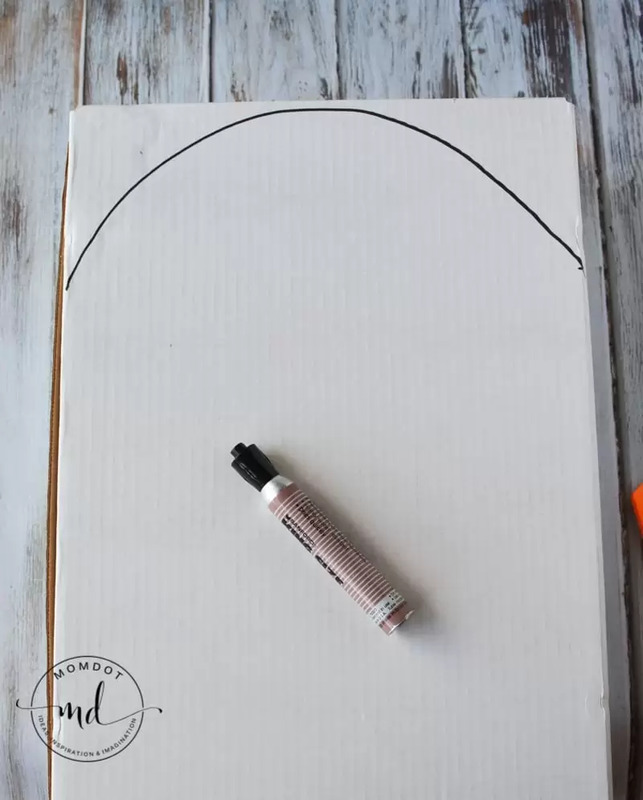 Use additional scrap cardboard to trace the triangle ends. 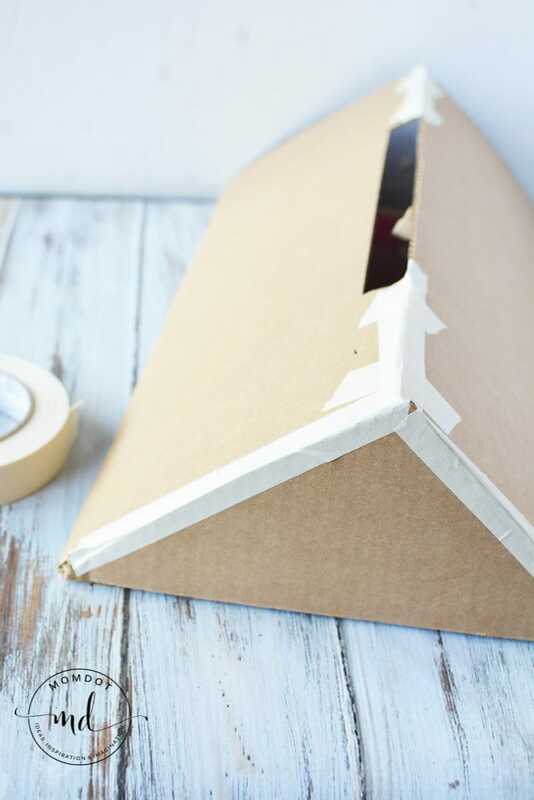 Cut out the triangles and tape to the ends with masking tape. Spray the box and write on it according to the directions above. 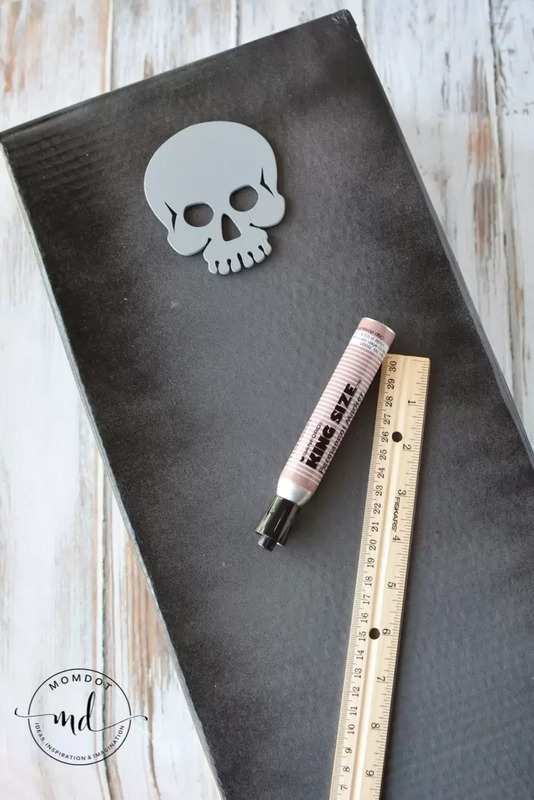 To attach the skull to the tombstone, use hot glue. 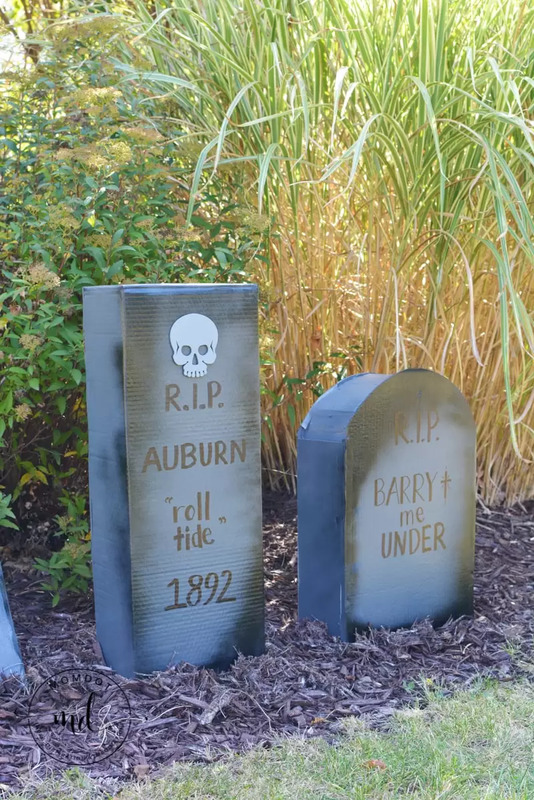 Complete your Halloween Decorating by heading below for additional Halloween Tutorials!